The Governor’s Inn in Rochester – now in our 25th year - is a gorgeous, happening, top-notch venue with two Restaurants, Hotel, Live Entertainment & Special Events (catering both on & off-site). Kitchen: Work in the area’s largest and cleanest kitchen! You must work well with others and have a flexible, easy-going, positive attitude. Good references required. Line Cook – full time – minimum 2 years experience in a busy restaurant. Good with grill, broil, and saute stations. Will train prep cooks and dishroom staff. No experience necessary – must work evenings & weekends. Bartenders Minimum two years experience. You must be confident with knowledge of spirits and cocktails, be flexible. We are filling shifts for evenings, weekends, and lunch shifts. Restaurant and banquets. You must be upbeat, positive and friendly to staff and guests alike. Professionalism a must. Please email a PDF copy of your resume, availability, contact info, and a recent photo (if available). All bartenders who work for us must love to serve food as much as pour drinks and have a strong hospitality and team spirit. 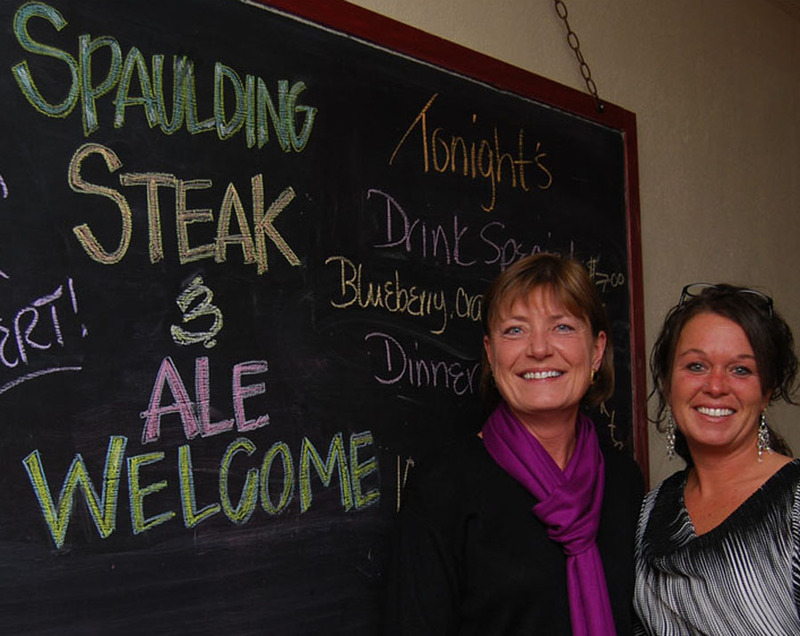 Servers / bartenders for both restaurants at The Governor’s Inn: The Garage and Spaulding Steak & Ale. Evenings and weekends. If you have experience in fast paced but quality food service then we want to talk to you! You must have excellent communication and presentation skills, have high energy, be well groomed, highly dependable and have a solid track record. Knowledge of food, wine, mixed drinks and craft beer goes a long ways..
Housekeepers – Must be available mornings – both weekdays and weekends. Must be committed to cleanliness… in fact, you must love to clean! Pickup & changeover up to 20 guest rooms plus common areas.